What Company Type Would Benefit from This Virtual Phone System? VirtualPBX is located in San Jose, California. Its focus is combining business and technology in a way that creates a professional user experience equipped to best meet the demands of the modern business and its communications needs. VirtualPBX aims to be more than just a virtual phone service provider, offering a variety of options to fit multiple needs for small to medium businesses and freelancers alike. Even though VirtualPBX has been doing this longer than any other virtual phone system provider, in recent years VirtualPBX had fallen behind their competitors in terms of both function and features. So we were excited to hear that they had redeveloped and re-engineered their product line by adding their new DASH products. For small to medium businesses, as well as freelancers with light to average traffic looking for a more cost effective phone solution that still has a robust feature set, VirtualPBX Dash plans are ideal – providing improved performance, user interface, and number management. Dash even allows you to port your existing phone number without having to have VirtualPBX do it. As we mentioned earlier, compared to other cloud-based phone service providers, VirtualPBX has been around for quite some time. With the addition of the totally redesigned and redeveloped Dash product line, they offer a much improved, feature-rich service for a competitive rate all while maintaining excellent reliability and uptime. An excellent, well-known virtual phone service provider with superior features and great rates. VirtualPBX Dash offers three pricing options (Basic, Pro and Unlimited). You get 1,000 shared minutes with the Basic plan, 2,500 shared minutes with the Pro Plan and Unlimited domestic as well as 1,000 separate toll free minutes with the Unlimited plan. Audio Conferencing and faxing use the shared minutes. These new Dash plan options include the new, much improved user interface, number management, ability to port your own existing phone number, and greatly improved performance. All Dash plans come with a 14 day free trial and a 30 day money back guarantee! Dash plans are available in monthly or annual subscriptions, with discounts offered for annual plan purchasers. If you opt for a two year contract you can reduce the monthly payment amount even more, but you have to be willing to commit to an upfront payment for two years. VirtualPBX offers a wide variety of call management features and they are one of the only companies in the industry to offer most of them for free. They also pride themselves on scalability, so you can find call management features that grow with the company rather than something you grow out of. Just a few call management features you can expect to find include multiple numbers, no busy signals, voicemail, call routing, call forwarding, find me calling, advanced phone transfers, auto attendant, do not disturb mode, caller ID and screening options, call waiting, queue logs, advanced administration queue logs, conference calling, greeting managers and even call blocking. Each Office plan includes two local or toll free numbers, which is very generous. Additional numbers can be purchased for an additional cost of $5 per line, per month. Dash Basic and Dash Pro Plans come with two included local or toll-free numbers and Dash Unlimited includes three local or toll-free numbers. VirtualPBX also offers vanity and toll-free numbers. Vanity toll-free numbers can be ported to the system if you already have one. If you wish to purchase one it will take about two weeks and there will be a one time fee of $25 per vanity number. If you wish to create an international number, you can for just $20 per month – depending on the country you need to establish your phone number in. To port an existing number to VirtualPBX, you will not have any downtime like traditional porting. That is because lines will stay open with VirtualPBX. Office plans require VirtualPBX to port the number, whereas DASH plans allow you to port the number yourself. VirtualPBX has a multitude of advanced features, many of which are part of its core features offered for free. These features are available with Office Plans and many are coming soon to the DASH plans, as well as across pricing plans and include greeting management options, real time monitoring and reporting, supervised call transfers, multi-business support, custom ring-to locations, multi-state dialing, custom ring durations, smartID, voicemail interrupt, and more—including TrueACD Queue options at an additional cost, which provide intelligent call routing solutions for those with advanced routing needs. VirtualPBX does support 911 calling through their virtual phone service. All 911 calls are automated routed through their e911 service. VirtualPBX also offers Internet fax capabilities. In fact, users do not need a physical fax machine to send or receive faxes. Everything is managed through their Fax Center, but users are limited to 1,000 faxes per month (in or out) with Office Plans and with Dash Plans they use your shared minutes – unless you have Dash Unlimited. Considering most services don't even offer fax, this is a bonus to those who receive it. Both VirtualPBX Office and DASH are intuitive and easy to use. While DASH plans are designed to route calls to existing cell or landline phones you can still utilize VoIP phones if you want. All VirtualPBX issued phones come pre-programmed to set themselves up quickly and easily, eliminating traditional problems with hardware installation. While installing a new phone system will require a learning curve, VirtualPBX aims to make things as easy as possible. If you have difficulty using VirtualPBX, they do have help guides, forums and of course customer support to help you figure out your new system. You can also opt to upgrade to their Concierge service, which will then handle all of the setup and configuration for you for a flat fee of $99. UPDATE: VirtualPBX now offers 24/7, 365 day a year phone support for all Dash Plans. They also now offer Live Chat! Users can also opt to log into their account online and contact customer service via message, or send an email directly. These support offerings are modest in comparison to its competitors. We wish they had 24/7 service like most virtual phone service providers have – but perhaps this is something they will add in the future. They do not offer live chat at this time – something we hope they add later because most business users prefer to be able to contact their customer service via chat. 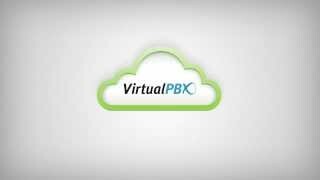 VirtualPBX does offer a large selection of online tutorials and setup videos. VirtualPBX can accommodate the needs of startups, small businesses and even large enterprises. Thanks to their true ACD queues, they can even accommodate businesses with a large volume of calls inbound at a single time. Their pricing is also spot on for a variety of business types – including on-the-go professionals and even freelancers that want to appear more professional. Overall, just about any company could use and enjoy the services of VirtualPBX – except for perhaps call centers. Excellent Included Features: Both VirtualPBX Office and VirtualPBX Dash plans offer a wide range of high level features that they categorize as “core” and “unique.” All features under each category are included in every service plan option. Core features include virtual receptionist options, call recording, and integrated conferencing, while its unique features include customized greetings for each number, call preview, custom ring tones, and voicemail interrupt. TrueACD Queues: TrueACD Queues are available at an additional cost per line for Office Plans and offer high level intelligent call routing functionality that is well worth the cost. TrueACD Queues allow for skills-based and load-balanced routing, overflow queues, queue optimization, customized queue management and self-managed agent presence. With Dash Plans you get RingGroups for free. Real Time Monitoring VirtualPBX offers real-time analytics for administrators. They can stay on track of phone calls, missed calls, where calls were routed and any successful blocks that were done. Because these analytics are offered in real-time, administrators can quickly change policies and procedures so that critical sales calls are never neglected again. Reputation VirtualPBX has been around for some time and they have earned a reputation for being one of the most reliable cloud-based phone service providers – something a lot of other providers cannot boast about. Faxing Faxing is included in all office plans with VirtualPBX. Inbound and outbound faxing is supported and no physical fax machine is required – and the faxes are done at no additional cost. That being said, there is a limit of 1,000 faxes (in/out) per month per account. With Dash Plans you uses the shared minutes when sending faxes, and with Dash Unlimited you get unlimited outbound faxing. Unlimited Extensions: All VirtualPBX plans include unlimited extensions per line, offering larger companies more options when it comes to setting up their agents and office. High Reliability: VirtualPBX boasts a 99.99% server up time. Since cloud-based phone solutions are server dependent, this is an important point of focus. Less downtime means a better user experience for your business and its customers. Additionally, virtual PBX uses automated data backups in addition to their fault tolerant systems to ensure that your data is always available. Transparency: VirtualPBX posts transparent status updates online in the event of a service error—however big or small—on their end. This saves you the trouble of wasting valuable time calling customer service in search of answers. Locally Based 24/7 Support: All customer support is based in the United States, and VirtualPBX now offers 24/7, 365 day support. These support specialists work alongside other VirtualPBX employees, making them highly skilled to answer and solve questions and better meet your service needs. Easy Setup: VirtualPBX offers easy set up with preprogrammed phones designed to auto install once plugged in making the installation and setup process as simple as possible. You can also upgrade to their Concierge service and have all the setup and configuration done for you for a flat fee of $99. Web Management: VirtualPBX offers online web management options that allow users to interact with customer support and manage account and calling features easily from one location. The new Dash user interface is greatly improved over the traditional Office interface and boasts better performance, better/easier number management, and the ability for users to port their own numbers without needing assistance from VirtualPBX. Limited Numbers (office plans only): Only two numbers are available per line across Office plans and pricing options. Additional numbers can be purchased for $5.00 per month. This may not be a big deal, because Dash Plans which are more widely utilized come with two phone numbers (allowing both a local and toll free number) for the Basic and Pro plans, and three phone numbers with the Dash Unlimited plans. Limited Conference Minutes: Conference minutes are limited to 1,000 minutes across all Office plans, and the entry level Dash Plans require you to use your pool of shared minutes. Dash Unlimited however, offers unlimited conference minutes. For mobile businesses with a high conferencing need, the entry level Dash and Office minutes may prove insufficient. However, most businesses don't use their conference minutes as-is. Port Number Charge: If you opt for an Office Plan and would like to transfer your existing business number using VirtualPBX’s services, you will incur a one-time $25 fee. This may discourage some businesses as some competitors do not charge for this service. That being said, most companies charge to port numbers and VirtualPBX is one of the few to be able to port a number without any number interruption – while other cloud based phone systems could interrupt your service for as much as 60 days until the number successfully ports over. All Dash plans allow you to transfer(port) the number yourself for free, however. Limited Free Trial: A free trial is a valuable tool for those unsure whether a particular service plan is the right fit for their business. While VirtualPBX does offer a 14 day free trial on their Dash Plans, this trial is only available for the entry level Dash plan users, and is not available on Dash Unlimited or Office Plans. They do however offer a 30 day money back guarantee on all plans.